Memory Care services at Springwell Senior Living are designed to support and accommodate individuals who have been diagnosed with Alzheimer’s disease and other forms of dementia. 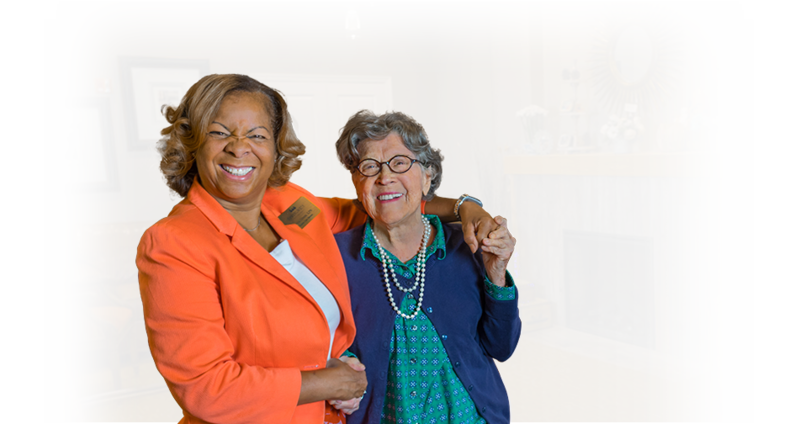 We understand that each resident is unique, so we establish and follow a personalized care plan for each resident. We strive to maximize quality of life by creating daily opportunities for interaction, socialization and activities with our staff as well as other residents, and we have a full time Memory Care Activities Director on staff. Families will have peace of mind that their loved ones are being cared for in a warm, safe environment. We offer private rooms and appealing common areas which help encourage this special group of residents to stay engaged with a variety of activities. private residences, and some will even feature accommodations for couples. Recognized for incomparable, compassionate care, Springwell staffs a full-time Memory Care Director to oversee the program and has licensed nurses on site 24 hours a day. Medical oversight is also provided by the Medical Director, who serves as a primary care physician for the majority of the residents. The staff to resident ratio is higher in Memory Care, and activities are tailored to suit residents who are challenged with cognitive impairment.